Governments are promoting inner city densification to reduce suburban sprawl, producing the proliferation of high-rise condo towers in Toronto and other Canadian cities. 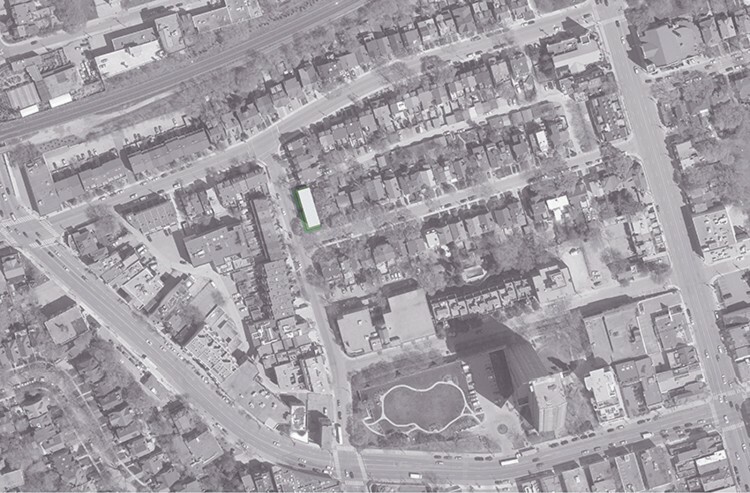 As an alternative to the often-incongruous scale of this housing model, densification can be achieved through the expansion of existing small multi-family residential structures prevalent in the city's developed neighbourhoods. 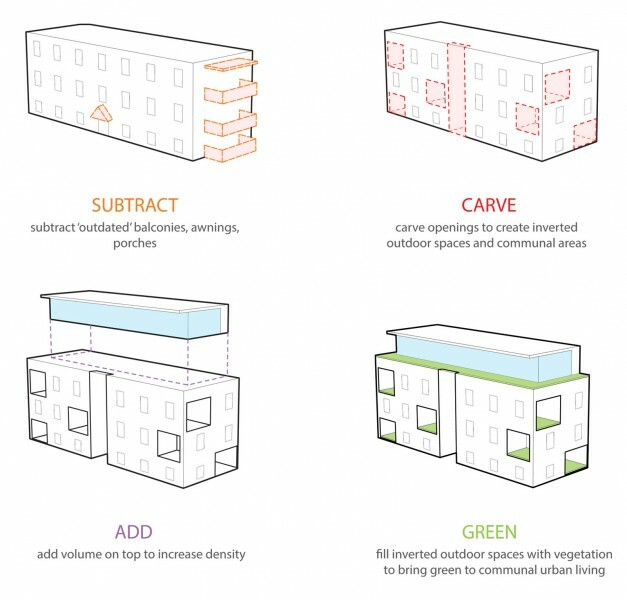 Concurrent with densification, the primary issue is how to sustain multi-family living over the longer term. Many young families desire a single-family residence with a backyard where their children can play, but due to the prohibitively high cost of real estate in some larger Canadian cities, owning a single-family home is out of reach for many. 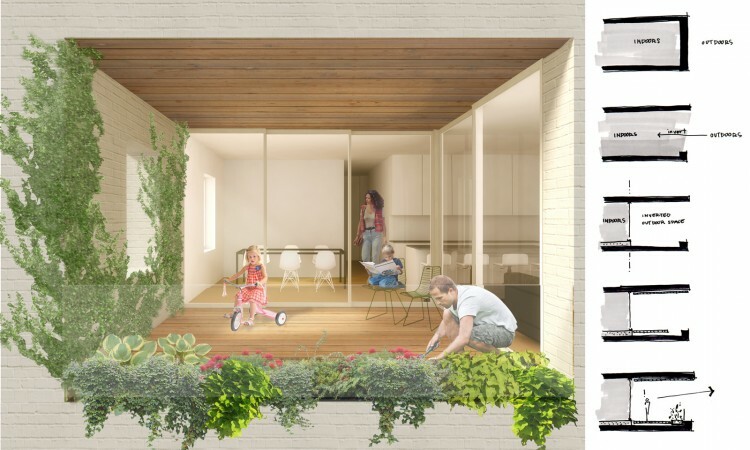 Consequently, new forms of multi-family living could be made more culturally and socially sustainable over the long term with the addition of access to private outdoor spaces. 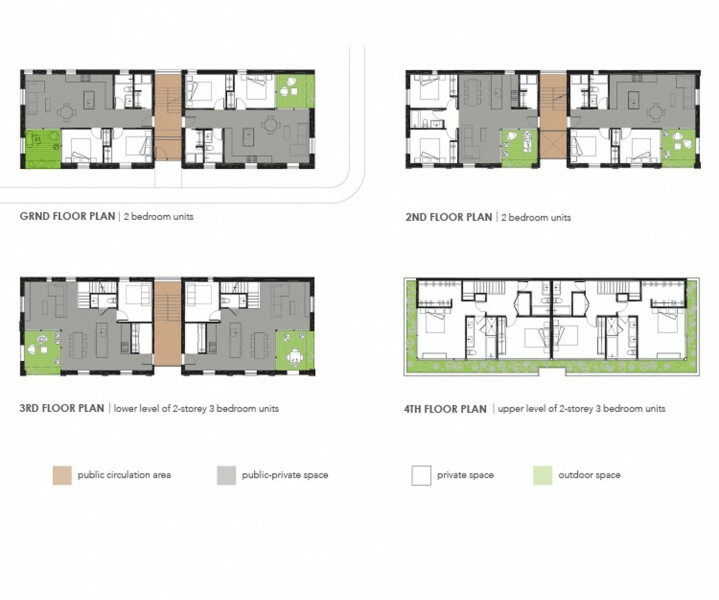 The objective of In-vert Apartments is to increase density in an existing multi-family dwelling while creating access to outdoor living. Outdated balconies, awnings and the small entrance are stripped away, and sections of the building are carved out to create openings for outdoor spaces, larger and more sheltered than typical attached balconies. 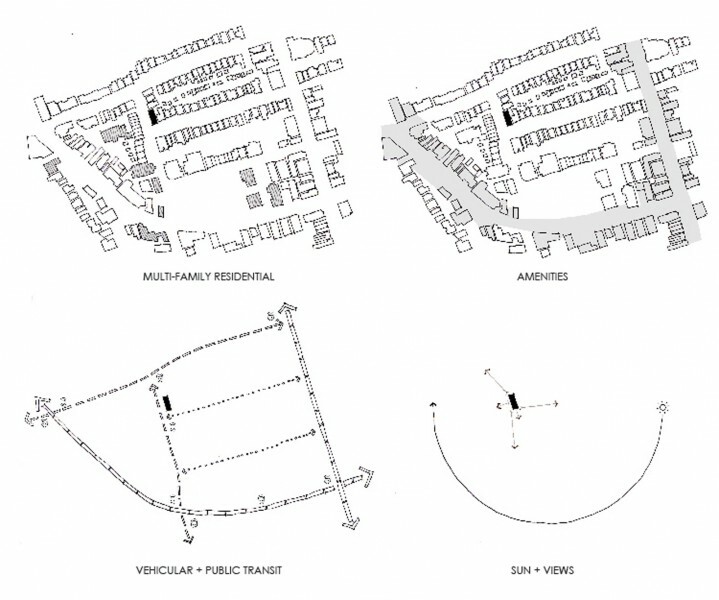 Located within the existing building footprint, these are inverted outdoor spaces. A three-storey vertical slice divides the centre of the building to create a more prominent and visually dynamic main entrance, while the continuous vertical glazing draws natural light into the interior. 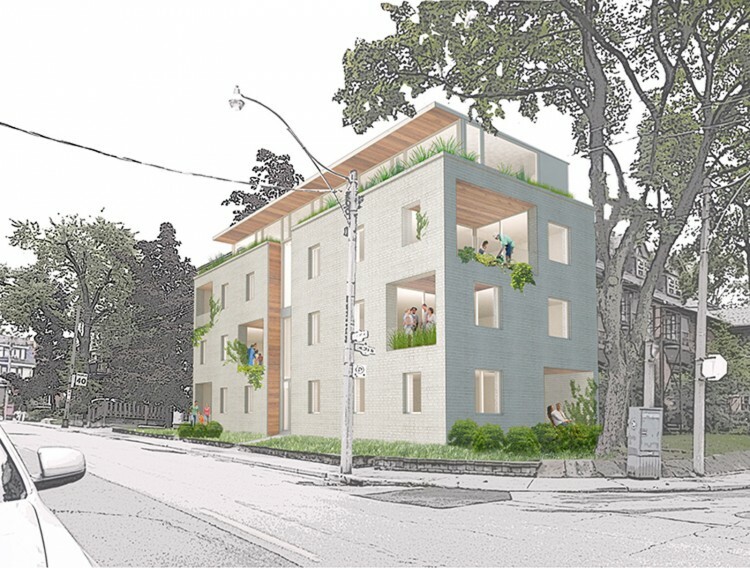 A fourth-floor addition is set back from the existing building, creating space for roof gardens and reinforcing the congruent relationship of the roof line to the scale of the neighbourhood. New architectural interventions are lined with planes of rich wood to add warmth, and to create an animated juxtaposition of new and old elements.